This is the 2014 reprint of the 2008 Climbers Club guidebook with corrections and information updated. 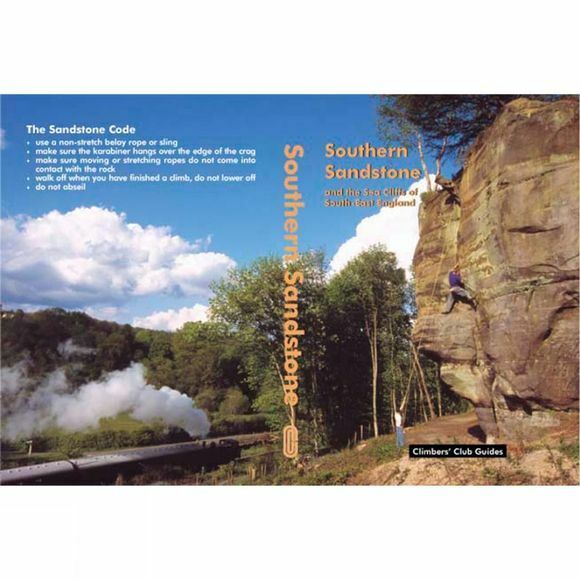 The guide comprehensively covers all the popular areas including Harrison's Rocks, High Rocks and Bowles Rocks–all the crags have a superb photodiagram which clearly shows the routes and there are some great action shots both modern and historical. Also included (for those of a slightly perverse disposition) is the somewhat terrifying sea cliff climbing to be found on the chalk cliffs of the south coast–again all these routes have easy to follow topos and there are some truly inspiring / frightening action shots.